A friend who was standing in a long line caught my attention recently as I exited the restroom during opening night intermission of the London musical, Dirty Dancing. We exchanged mixed feelings about the increasing use of video in such productions and reminisced that the movie upon which the musical is based featured North Carolina as a stand-in for the Catskills. Then, noting that some cities seem eager to replicate the Durham Performing Arts Center where I live, he asked rhetorically as we parted what I thought they might be missing. It gave me food for thought as I returned to my seat. In my experience of meeting over the years with scores of cities on such field trips, it isn’t what they ask but what they aren’t asking that often makes the difference. DPAC is one of hundreds of large-scale venues that have opened in just the last decade. Even before it opened, consortiums of consultants, funders and managers began wringing their hands about the consequences. Many researchers have begun digging into this but it will take a decade or two for any correlations of the impact on local cultural ecosystems to be established. Cities looking with envy to replicate performing arts, sports or convention centers usually take these field trips to reassure reluctant stakeholders. Durham initiators took one to Greenville, South Carolina for example. But rarely are the right questions asked that will drill down into what may be anomalies. 1) Durham’s success is not because it lured Nederlander and the company’s equally exceptional non-profit partner PFM as operators, but because Nederlander came knocking. The company, one of the largest owners and operators of theaters in the world, was eager to fill a geographic gap between other theaters it operates, and in the process, eliminate or undermine a competitor. Everyone here was flattered and relieved. 2) Only 25% of the center’s patrons are local residents, give or take a point, the same percentage of Americans in the nationwide Census who take in concerts and plays, something that hasn’t changed for more than a decade. Having more and larger facilities does not generate more participation. It just means it is spread thinner. In Durham as a whole, 29.8% of the adult population attends live performing arts each year compared to the 24.9% attending popular entertainment such as concerts and clubs, which is right at the national average. The former is less than a point higher than and the latter the same as Greensboro which recently visited Durham and announced plans to emulate our large-scale venue. Wake County, which lost its Broadway series due to the startup in Durham, still draws only 1.2% fewer residents for performing arts overall and the same percentage as Durham to popular entertainment including concerts and clubs. 3) As a result, Durham’s large-scale venue is heavily dependent on day trip visitors for patrons, something made possible because the metro area it centers is near another anchored by Raleigh, North Carolina’s second largest city, which quickly shut down its touring Broadway series after DPAC opened. But Durham visitors beyond 50 miles still don’t participate any more in the performing arts than they did prior to the opening of a large-scale venue. Never has having more capacity changed the percentage of visitors interested in performing arts. For any large-scale theater to succeed, it must draw visitors, including a good share who come to a community for other purposes. Without being so close to a another major population center, Durham would be in big trouble. But if the hundreds of communities that just built new large-scale venues are in the same predicament, something will have to give and usually that is a hollowing out of local arts creation. 4) Durham also negotiated a very favorable revenue sharing arrangement, supplemented by seat fees and special event parking fees in decks used. What doesn’t show on that bottom line is tens of millions of dollars to relocate prior tenants and subsidies for nearby development. 5) Durham has a highly “accredited” community destination marketing organization known to be far more successful than its well funded counterparts and willing to try and defend smaller, more indigenous but equally valuable elements from bullying or erosion. 1) The center was apparently built on the cheap, forcibly in part, because initiators boxed themselves in with a tax funding formula to avoid voter and state scrutiny, thus, those extraordinarily long lines for the rest rooms. The architect performed a miracle. 2) A pivotal opportunity was missed to weave the theater into the fabric of Durham’s “built” sense of place. Look, for example, at the National Historic Landmark just across a quad or either of the two surrounding National Historic Districts. The interior could have been made to seem more temporal by using historic images of other theaters or performances here. 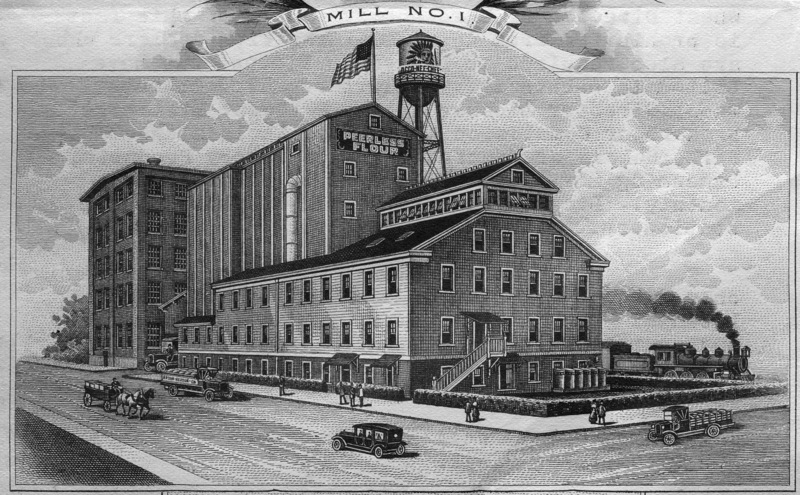 Or the new theater could have picked up the remarkable lines of the historic Austin-Heaton Flour Mill formerly on that site or evoked the beloved Durham Union Station that had stood across the track. “Cities have their own patterns of building, influenced by the pace of life, the quality of light, historic traditions or simply the materials available. Those on these inter-city visits, or inspection tours, also neglect to ask if the theater was a priority at the time or did it leapfrog higher cultural priorities? They could also ask where Durham fell at the time in comparison to similar communities in the number of theaters or in overall visitor participation compared to averages. Also questioned could be why philanthropic sources weren’t willing to fund the proportion of costs born in the other communities that were evaluated such as Greenville? Was that a reflection of other community needs? Was there any reason to build an additional performance hall prior to having a cultural master plan? All of these questions go far beyond the questions usually asked during these familiarization tours and get at the overall question of “knowing what we know now, what would or could Durham have done differently” and still achieved similar or even better outcomes? The problem, of course, is that to many people, questions are criticism. Among those considering such a facility, anyone raising them might be ostracized as critics or naysayers because questions can be threatening to those who may have already made up their minds with very little information. In turn, it is probably much too soon for even outspoken Durham to be introspective or if has, then forthcoming about what it would have done differently or volunteering that its success may have been been as much circumstantial as exceptional. Regardless, history tells us that when provided such objectivity, enthusiasts have often dismissed it, even shopping around for consultants who would say yes after others concluded no. It takes a truly exceptional community to put ego aside and pass up a challenge. It took two or three decades after similar spates of overbuilding of other kinds of large-venue facilities before experts and researchers were able to truly and accurately assess the ramifications. Even then there were outcries and choruses of angry denials. Judging by studies and papers already underway such as the study “Is Bigger Better? The effect of capital facilities investment on non-profit financial vulnerability,” by Dr. Joanna Woronkowicz now under review. Consortiums that began meeting under the aegis of Americans for the Arts nearly a decade ago, maybe those involved in the performing arts, will enlighten more quickly. The history of such overbuilding over the last century suggests the latter.